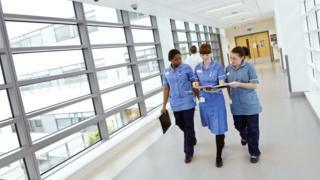 The Care Quality Commission (CQC) says the health system is “straining at the seams” and faces a “precarious” future. The England’s regulator’s annual report raised concerns about staff shortages, rising demand and the number of patients with preventable illnesses. It said so far the quality of NHS and council care has been maintained but warned standards were likely to drop. Health Minister Philip Dunne suggested that extra money for social care, mental health and A&E was enough. 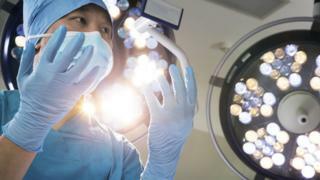 “With record funding and more doctors and nurses, the NHS was recently judged the best healthcare system in the world, despite the pressures from increasing demand,” he said. The CQC’s report – its yearly round-up on the state of the sector – comes after it completed its new inspection regime of hospitals, mental health units and care services. CQC chief executive Sir David Behan said that while the quality of care was being maintained currently thanks to the efforts of staff, that resilience was not inexhaustible given the rising pressures. “We are going to see a fall in the quality of services that are offered to people and that may mean that the safety of some people is compromised,” he added. He said the NHS is “struggling to cope with 21st century problems” including increasing numbers of people with illnesses linked to unhealthy lifestyle choices like obesity, diabetes, dementia and heart disease. He said one of the immediate priorities was finding a solution to funding social care – ministers have promised a Green Paper by the end of the year after providing an extra £2bn of funding over the next three years to keep services going. Caroline Abrahams, of Age UK, said the findings made worrying reading. Labour Shadow Health Secretary Jonathan Ashworth said the report was “damning”. Are you waiting for NHS treatment? Have you recently faced a long wait in A&E? Share your experiences. Email haveyoursay@bbc.co.uk with your stories.